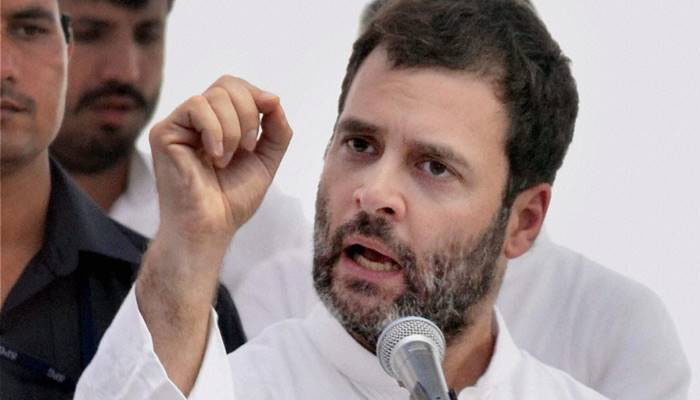 New Delhi: India´s opposition leader Rahul Gandhi pleaded not guilty Tuesday to defaming a powerful Hindu supremacist group closely linked to the ruling party of Prime Minister Narendra Modi. Gandhi will fight charges in court that he defamed the Rashtriya Swayamsevak Sangh (RSS) organisation when he accused the Hindu movement of assassinating Indian independence icon Mahatma Gandhi. A member of the RSS -- a Hindu umbrella group which is the ideological inspiration for Modi´s rightwing Bharatiya Janata Party -- sued Gandhi for the remarks made in 2014. Gandhi is unrelated to freedom legend Mahatma Gandhi but both hail from Congress, India´s oldest political party. Gandhi, who will square off against Modi in a general election within a year, vowed to battle not only the charges but the Hindu nationalist movement behind the defamation case. "My battle is ideological, and I will fight and win," Gandhi told reporters outside the courtroom in Maharashtra state, the heartland of the RSS. If found guilty Gandhi could face up to two years in prison, but a verdict is not likely in India´s creaking court system for many years. Gandhi had tried to have the case thrown out in the Supreme Court in 2016 before agreeing to stand and defend himself against allegations he smeared the RSS. A former member of the organisation, Nathuram Godse, shot dead Mahatma Gandhi in 1948 just months after India gained independence from British rule. The Hindu radical was tried in a court and hanged in 1949. But the RSS -- which was briefly banned after Gandhi´s assassination -- has always distanced itself from the killing. Founded in 1925, the RSS today boasts six million active members. Most of the BJP´s leaders, including Modi, have a long history as members of the volunteer movement. The group threw its weight behind Modi ahead of his crushing 2014 election victory over Congress. Ahead of his court appearance Gandhi, the scion of the Nehru-Gandhi political dynasty, said India "has become a slave" to three men -- Modi, his right-hand man and party chief Amit Shah and RSS boss Mohan Bhagwat.